The Health Ethics Trust has provided the best value in compliance education for over 20 years. Where Compliance Leaders Meet to Share Insights & Experiences. 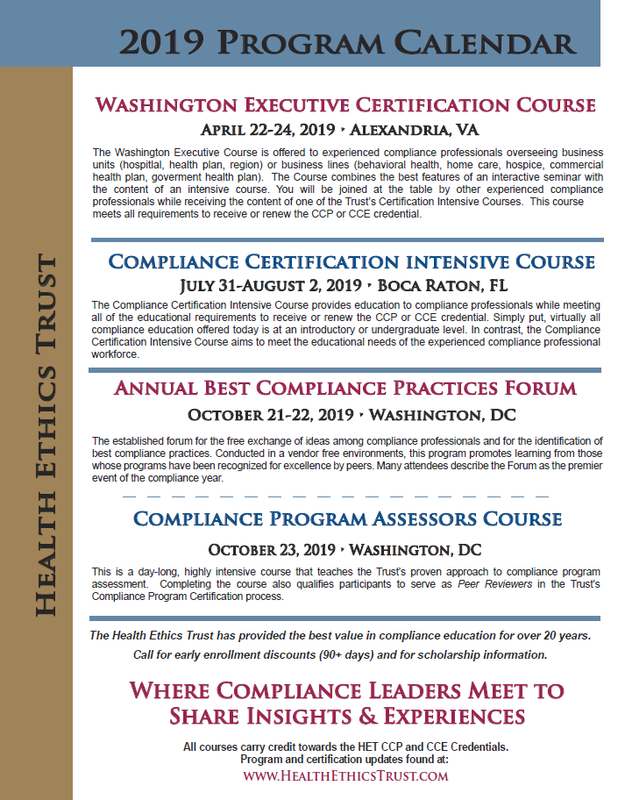 The Washington Executive Certification Course for Healthcare Compliance Executives is the Trust’s most advanced healthcare compliance education program, which is offered to senior compliance executives of organizations, business units (hospital, health plan, region) or business lines (behavioral health, home care, hospice, commercial health plan, government health plan). Do you have an effective compliance program that deserves recognition? Would you like to justify to your stakeholders that your organization takes compliance seriously? If so, there is a mark of excellence that will distinguish your program – HET’s Compliance Program Certification. Do you want to interact with other compliance professionals on current issues? 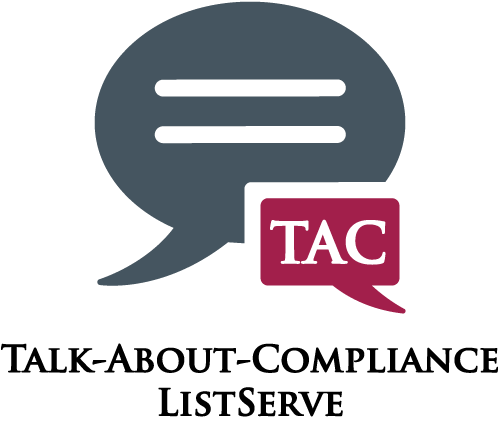 Do you want feedback from the compliance community on issues facing your compliance program? Join over 800 others and sign up for Talk About Compliance – a free and anonymous discussion group for compliance professionals. 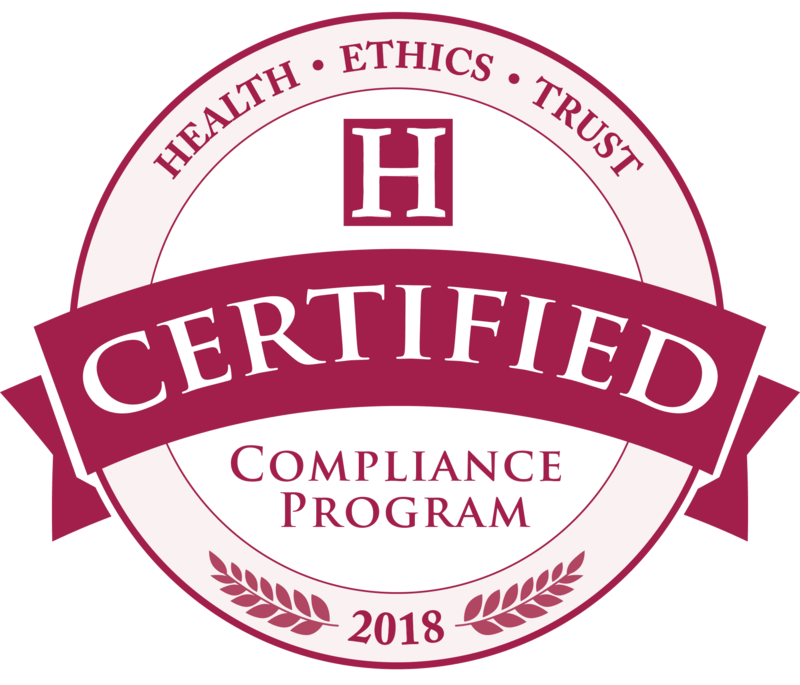 HET and its consulting subsidiary Compliance Resource Group, Inc. (CRG) are committed to providing exceptional compliance services to our clients. Our main goal is to promote and foster ethical business practices with clients who share a commitment to high standards of ethical and legal conduct. 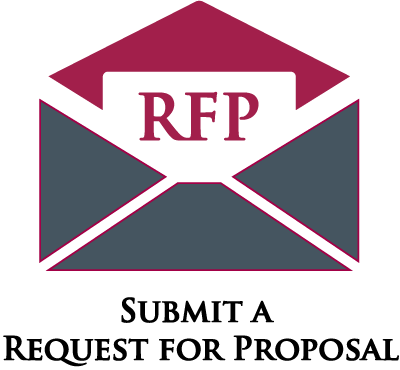 We look forward to reviewing your RFP. The best membership in healthcare compliance. Whether you are a compliance department of one or 100, we have a membership that will work for you and your organization. Benefits include free participation in audio conferences, members only resources, discounts on tuition and publications and many more. Memberships start as low as $200/year. If your program exceeds minimum standards, there is a mark of excellence that will distinguish your program – Compliance Program Certification (CPC). The CPC is a peer-review process overseen by HET. If you are interested in more information about the Compliance Program Certification process or would like to become an Assessor, call our offices at 703.683.7916. HET’s mission is to advance the field of healthcare compliance. To accomplish this, HET offers a full agenda of education programs, professional certifications, research, identification and sharing of best practices, and advisory services. If you are looking to advance your career or take your compliance program to the next level, HET has the resources you need to be successful.